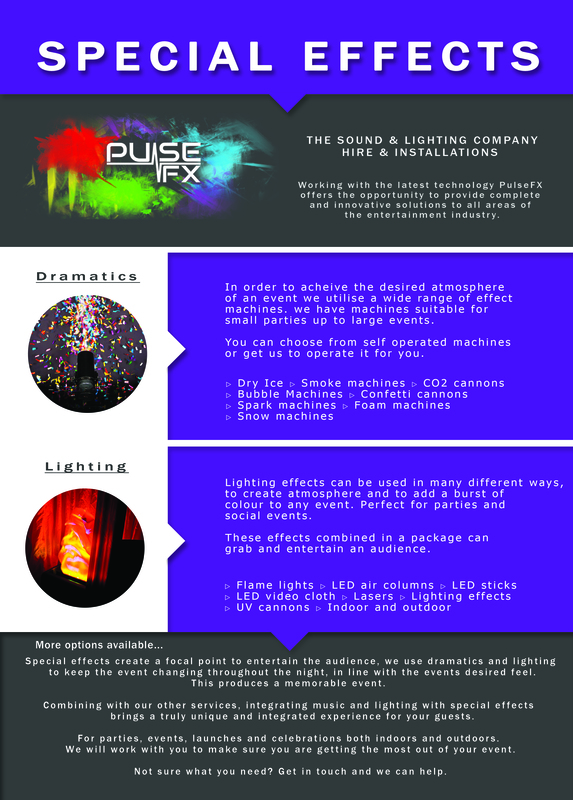 In order to achieve the desired atmosphere of an event we utilise a wide range of effect machines. we have machines suitable for small parties up to festival requirements. You can choose to self operated on many machines or get us to operate it for you. Lighting effects can be used in many different ways, to create atmosphere and to add a burst of colour to any event. Perfect for parties and social events. This effect combined with a lighting show can grab and entertain an audience. We understand that imagining what you want your event to be like can be difficult. orchestrating hundreds of events has given us a wealth of knowledge to draw from. We stay at the very height of technology and equipment to provide new and exciting experiences. Decorative lighting brings a classical cosy mood to your event. This type of lighting is often used to illuminate paths, items and areas.